The fourth season of American Songbook at NJPAC returns with new host and multi-platinum-selling entertainer Michael Feinstein and musical performances by the best of Broadway and beyond. 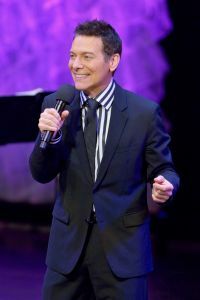 American Songbook at NJPAC Hosted by Michael Feinstein was recorded live at New Jersey Performing Arts Center in Newark, New Jersey, and includes classic songs and conversations between Feinstein and esteemed guests. 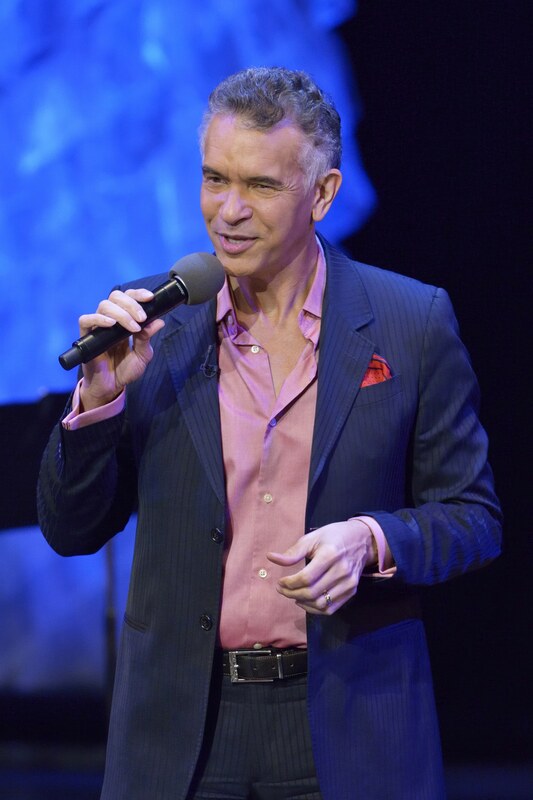 In the season premiere on January 25, Feinstein welcomes two-time Tony Award winner Brian Stokes Mitchell, former SNL cast member Ana Gasteyer and Songbook Youth Ambassador Lucas DeBard to the stage. Even acclaimed professionals at the top of their game have highs and lows while performing. While taping the first episode of American Songbook at NJPAC, Hosted by Michael Feinstein, we had the chance to interview the singers. We asked them to share memories of their best and worst moments on stage. There were a range of bests, but the worsts had one thing in common. As Herman Hupfield wrote in his time honored American Songbook classic “As Time Goes By” – You must remember this. Best moment: The best moment on stage was the first time I got to sing at Carnegie Hall because I was 22 years old, and it was a Gershwin concert. It was extraordinarily exciting. Worst moment: When I was on Broadway I forgot the lyrics to a song, and I had to start it 2 or 3 times, and I could never get through it. Then I had to find a way to continue on with the show and not make the audience feel as wretched as I did! 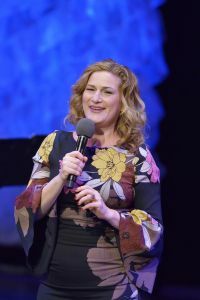 Saturday Night Live alumna Ana Gasteyer works in television, film and stage. She starred as Elphaba in Wicked in both Chicago and Broadway. Best moment: My best moments have been singing with my quintet, when I’m really in a moment that’s totally uninhibited and totally free, totally improvisational, that enough of the work has happened and I can be on the road and settle in and just enjoy it. Because you’re thinking so much about what you’re doing when you’re performing, it’s the moments when you can settle in and breath and take stock of the fact that you’re fortunate to be on stage – those are the best moments. Worst moment: I was in Wicked and I was so preoccupied with getting enough rest that I started taking Ambien (a drug used to treat insomnia). I went on stage and I forgot my first line and I couldn’t get it back. It was like a slow-motion rabbit hole, and it did ultimately come back. But it was one of those awful situations where I was playing an outsider so it wasn’t like I could even negotiate a cheat on the line because I didn’t theoretically know the other people on stage in character. Tony award-winning Broadway baritone Brian Stokes Mitchell (Kiss Me, Kate) has been a leading man on Broadway since the 1990s. Best moment: There have been so many great moments on stage. One of the best moments was performing for the President [Obama] – I’ve had the honor to perform for two presidents in the East Room of the White House. To be standing on the stage of the East Room and singing five feet away from the President and the First Lady, and then in a room that is rather small and filled with people that you see on the news all the time. It’s a pretty big honor. Worst moment: My worst moment, definitely, was when I forgot the words to “Where is The Life That Late I Led” when I was doing Kiss Me Kate on Broadway. It’s Cole Porter and his lyrics are very fast and they go all over the place and take unusual turns and twists and each verse is slightly a little bit different. From the beginning of doing that show I was terrified that I would forget the lyrics to that song. And one day, I was doing it and I started forgetting the lyrics. And usually I’m really good at writing lyrics on the spot but I just started falling apart. And finally I just said, ‘stop, stop, I don’t know where I am,’ and of course an audience finds that incredibly delightful when that happens. And I look down at John Paul Gemignani, who was the conductor of the show – one of the best conductors Broadway’s ever had – and he became a great friend as well – and I said “maestro, can you please get me back on track here?” And he looks down at his podium, where he doesn’t have a score because he’s memorized the entire music in the score, and he looks up at me and goes [Stokes opens his arms, looks up and shakes his head “no” frantically] But, finally it came back to me. 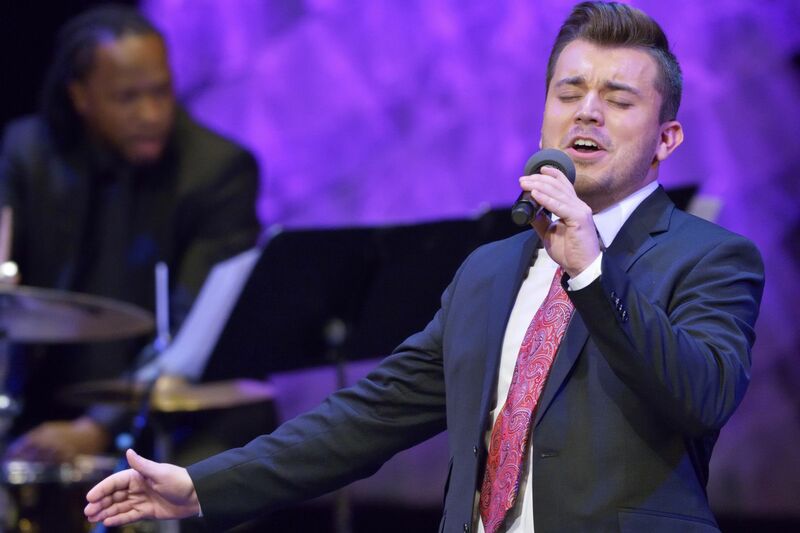 Lucas DeBard studies Music Education with a minor in Jazz Studies at Indiana University in Bloomington and was the 2015 winner of the Great American Songbook Youth Ambassador Award. Best moment: Last year I got to do a holiday show with Michael [Feinstein] at 54 below. I just remember going out there, feeling so good … I remember talking to my voice teacher about what I needed to do and I felt like I had accomplished all of that. And I got a great reaction from the crowd and I just felt great. Later that night I got to meet Bernadette Peters, Susan Lucci, and Elaine Paige, and all of them were there and I got to sing for them and that was a really amazing point in my life. Worst moment: The rising star had no worst moments to report! What is the American Songbook? What is the American Songbook canon? 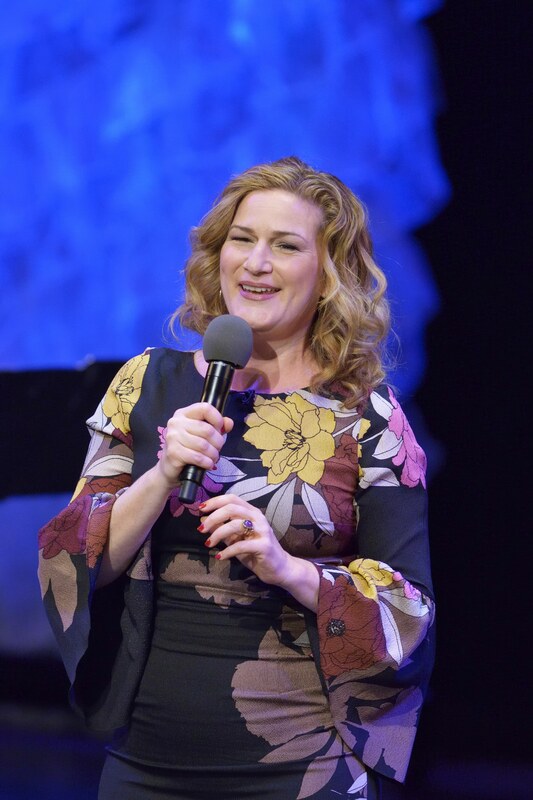 It includes songs like “There’s No Business Like Show Business,” “What a Wonderful World” and “Hello, Dolly!”, which are heard in the premiere episode of American Songbook at NJPAC, Hosted by Michael Feinstein. You’ll learn more about the American Songbook in Feinstein and the performers’ conversations between song sets. Feinstein is the founder of an organization that upholds the canon of early 20th century music that’s also called “American standards” and is made up of lyrical songs written primarily for theater and film. See the American Songbook Foundation site to learn more about the songs and composers included in the canon.